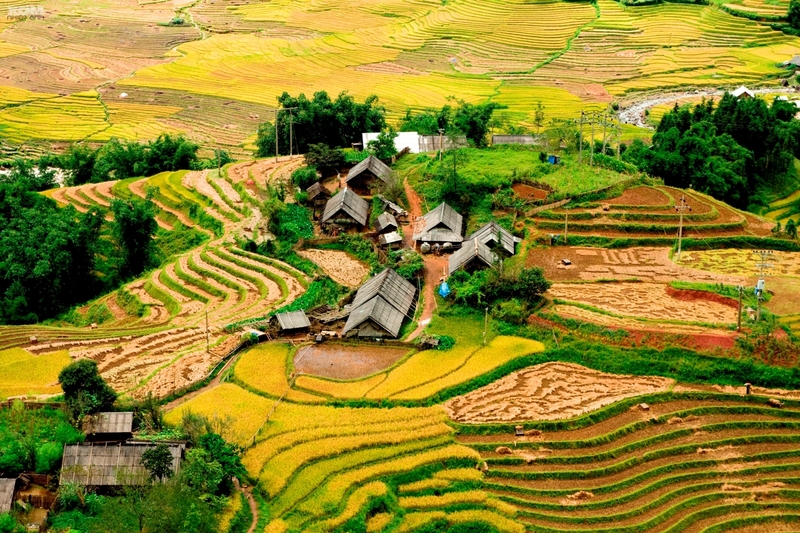 Sapa is among the well- known beauty spots in Vietnam. It is famous not only for its landscapes but also convergence of many ethnicities living together. Coming there, visitors will enjoy vibrant dresses of ethnics as H’mong Black, Red Dao, Tay, Giay, etc. Each ethnic is different in dress, lifestyle, customs, and farming methods. Set on the slopes of a beautiful emerald green valley, Sapa is the heart of this unique piece of Vietnam. Travel to this peaceful land and meet resplendently dressed ethnic minorities at the local market, visit neighboring villages and hike through iridescent rice terraces, witnessing how the current of life has bubbled along here for centuries. On the way you will enjoy the beautiful scenery and stop for taking photos. You will also discover the Sapa market where the local people meet and exchange goods and culture as well as the place for young couples to date. You might certainly be impressed by the colorful costume of the minority ethics here which make Sapa become more poetic. If you are interested in learning about unique culture, custom and way of living of the Black H’mong, Giay, Red Dzao ethnic people. 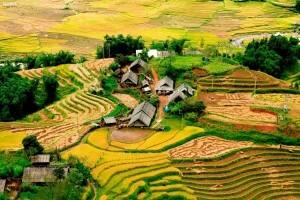 You can choose the home stay tour in Sapa which offer the opportunity to live with the local people in their villages lying on Hoang Lien Son Mountain and Muong Hoa valley such as Cat Cat, Lao Chai, Su Pan village… The local people will teach you cook their traditional dishes, and explain you their customs as well as the relating legends. You will take part in their daily life’s activities including reaping the rice on the terraced field in the harvest season, sewing the tradition costume or catching fish on the stream which certainly become your unforgettable memory about Sapa.